The North Korean issue is causing global concern and the US-Russian spat is paving way to yet another arms race. Is a world free of nuclear weapons a beautiful pipedream or an achievable target? We ask Jayantha Dhanapala, the former United Nations Under-Secretary for Disarmament Affairs. Sophie Shevardnadze:Jayantha Dhanapala, the former United Nations Under-Secretary for Disarmament Affairs, welcome to the show, it’s great to have you with us. Ambassador, we talk a lot about nuclear weapons and North Korea, that’s constantly in the news, of Pakistan, about Iran - but right now in Asia, China is seeking to build missile defences against a potential nuclear strike from India. And with some border tensions between the two Asian giants, is South and East Asia going to be where the next big missile race will take place? Jayantha Dhanapala: I don’t think it’s going to be as serious as it’s made up to be by some newspapers. But certainly the potential for a showdown between India and China is there because they are both nuclear weapon armed countries. Perhaps, not at the same level as it has been in the case of Europe, where the theatre of war has been ever-present in international relations in the Cold War era. So we have really nine nuclear weapon states, five of them are recognised by the Nuclear Non-Proliferation Treaty, and the other four are outside the NPT. Now, we must also be concerned about the fact that ballistic missiles are also growing at a time when cyber warfare is a very real possibility. So the possibility of a cyberattacks on nuclear weapons systems is a very real one today. SS: The North Korean affair has made regional powers uneasy - now even Japan is mulling over nukes to beef up its own security. Is non-proliferation crumbling completely, at least in Asia, because of this North Korean nuclear breakthrough? SS: Unfinished and probably also unclear because right now we see Pyongyang and Seoul intending to have regular talks and even putting their athletes under one flag at the coming Olympics. This might seem like a wonderful opportunity for the U.S. to negotiate with Kim Jong Un, yet what we hear is ‘who’s nuclear button is bigger’ from Trump. It gets you wondering, who’s a bigger nuclear threat here? JD: I know, this is a very sad situation where the leader of the United States is speaking in a very aggressive and unfortunate way which is provocative. I think, we have to go back to the language of diplomacy and restraint. That’s extremely important. I think, we have to go back to the time when we had some kind of restraint shown by previous leaders both of the United States and the Russian Federation. So this is important to realise the enormous power of nuclear weapon. And those who control that weapon must act with greater responsibility. SS: On the other hand - you’ve said yourself that a nuclear North Korea is the new reality. Should we all just accept it, stop stressing out and move on, could that help defuse tensions? If nobody is making Kim Jong Un jumpy, he’ll probably just calm down and stop with the threats, or he won’t? SS: You’ve said it, non-great power countries like North Korea or Pakistan with nuclear capabilities, or even Israel, need nukes as a guarantor against invasion - they will never give up as long as they feel there’s danger to their security. How do we deal with that, how can we make them give up their security guarantees? JD: I think the JCPOA - joint cooperation agreement with Iran - which was negotiated by the Europeans plus the United States is an excellent example. But, unfortunately, Mr. Trump is seeking to undermine and unravel it. That’s a very serious setback because the country which was ready to negotiate on dismantling of its nuclear weapons is now being faced with a threat of having that agreement scrapped. In this case nobody has any faith in any negotiations in future. SS: The nuclear forces of great powers ensure that the Mutually Assured Destruction doctrine works - and that has kept us world war-free for 70 years now. Take nukes away and wars are much more likely to break out, since the risks are much lower without them. Wouldn’t getting rid of nukes open the doors to chaos? JD: That is arguable. The deterrent effect of nuclear weapons has been the major argument in favour of it for nuclear weapon states. But we don’t know whether this is what restraints non-nuclear weapon states from taking action. And we don’t want to test it because it would be wholly destructive for the human race. So we have to find other ways to dismantle the current nuclear weapon arsenals of these countries. We have to find other ways to bring down the level of tension in international affairs and find diplomatic solutions, political solutions. SS: Talking about tensions - political tensions between big powers - neither the U.S. nor Russia are ready to start disarming and tensions between them are growing,. And there they are citing mutual threat, so do you sometimes feel that your choice for disarmament is overshadowed in today’s political reality? JD: At the moment, yes. We are not seeing any prospects of negotiation. But I think, we must continue to pursue that. And I think, the United Nations with its new Secretary General has a major role to play here. And that’s something we would like to see particularly when it’s time when the United Nations is given an opportunity of negotiating disarmament directly. SS: Pentagon is now considering deploying smaller, so-called “Tactical” nukes - what does that mean for the risk of a nuclear confrontation breaking out, is it more tempting to use a nuclear bomb when you know it’s “only” as powerful as the one used in Hiroshima? JD: That is one way of looking at it. But I think, if you begin with tactical nuclear weapon you’ll get on a slippery slope and you will be tempted to go the whole holm. So I think no nukes is better than having even a small nuke because it’s very difficult to control the sliding into a full-scale nuclear war when you start with one nuke. And that’s why, I think, it would be very suicidal for the human race to engage in any kind of nuclear exchange. SS: So doesn’t the nuclear war means destruction for everybody? JD: That is not an argument because that means that we have to be all lucky. You know that a few days ago in Hawaii there was a wrong button press. And for 30 minutes there was absolute panic. Now, this could happen again and the panic can then go into one foolish man pressing the right button and set the whole nuclear exchange off. So that is why the risk of an accident is very great in this tense atmosphere that we have. We can’t trust to luck. We know that the Cuban missile crisis was only averted as a result of responsible behavior on the part of the Russian Federation, of the Soviet Union of that time, and the United States. But we can’t always trust to luck. And that’s why we need to have better controls with regard to the possibility of a nuclear war being set off. SS: America’s nuclear modernisation is underway, and detractors are crying foul over a potential new arms race, but isn’t modernising, making the weapons and arsenal safer, more modern, better? JD: Everybody is modernising its nuclear weapons and modernisation doesn’t mean that you’re making them safer. By modernising you’re building bigger and better weapons and refining the systems that you’re using. And that is why it’s very dangerous to continue with this modernisation. I think, dismantling of the weapons is the way to go like you did when there were bilateral arms agreements between the old Soviet Union and the United States and, again, multilateral agreements. So we need to move now towards actually having talks between the nuclear weapon states so that we reduce the level of danger. SS: Pentagon is proposing a nuclear response to “devastating cyber attacks” - previously, only extreme biological attacks warranted a nuclear response in the U.S. doctrine. Is this a sign that nuclear weapon use is becoming more acceptable in military minds, or is it just posturing to scare potential adversaries and we shouldn’t worry about it too much? JD: The new nuclear posture review from the Trump administration has been leaked and we don’t know whether it’s an accurate image of what is the actual nuclear posture review. But that would imply that new weapon systems are being planned by the United States, more money is going to be poured into nuclear weapons. And the scenario is quite frightening. I think, we need to wait until the real nuclear posture review comes out. Under Obama the situation was much better: we had the nuclear posture which had progressed somewhat from the previous arrangements made under Bush. But now it seems to be going backwards and, I think, we have to be very careful. But I would like to look at the positive side: 122 countries voted last year to conclude a treaty which is going to ban nuclear weapons. It is true that the nine countries which have the weapons, haven’t agreed to it but the overwhelming majority have. SS: We are going to get back to what you are saying later. But I want to ask you a couple of questions about the nuclear posturing of the United States. Hypothetically speaking, if there’s a nuclear response, how can we be sure to properly attribute the blame for a cyber attack? I mean, isn’t that really impossible to tell who’s responsible for this sort of thing? SS: But what if you’re wrong and you hit somebody accidentally? I mean, isn’t that to big of a risk? JD: It is a risk. But people will not adopt this risk unless they are very certain of being able to get the target that they are aiming for. SS: Also, ambassador, at the beginning of the programme you’ve mentioned the cyber danger for nuclear weapons. I mean, do you mean that they can really be hacked from outside? Are they really that unprotected as you claim? JD: There is a risk of it and that has to be taken into account by those who manage the nuclear weapons systems to ensure that all risks are eliminated because even 1% of the risk is untolerable as it would mean total destruction of the nuclear system as well as, perhaps, the accidental explosion of a nuclear warhead. SS: So if we look at statistics, not hypotheticals: two uses of nukes on people was enough to show us all that it’s way too much already. For 70 years we have perfected nukes but haven’t actually sent them into action. Perhaps, that’s just the way it’s going to be - having the weapons but not using them, and really, what’s wrong with that? JD: You can’t be 100% sure that the weapons will be there and not used because somebody will want to risk using it, someone will decide to play chicken or something like that. Or we may have another Cuban missile crisis when we go right to the edge and don’t abandon the possibility of using it because good sense may not prevail. SS: You proposed an Iran deal-type of scenario to get the international community out of the dead-end that the nuclear disarmament talks are currently in. The Iran deal was a huge diplomatic breakthrough, but look where it is now: President Trump is threatening to scrap it. Does this mean that the collective effort and the will of the international community will always be left at the mercy of superpowers? JD: Unfortunately, it will be left to irresponsible superpowers. Because you remember that under Obama the United States agreed to having an agreement with the Iranians and it was working very well. In fact from all accounts of the IAEA which is monitoring the implementation, the JCPOA is working very well. And Mr. Trump has no justification except being pushed by Netanyahu who has his own motives in doing this. So we need to listen not to the hawks but to the doves. And I think, that’s what is important in the current global situation that we have. SS: Like you’ve said, on the world stage, Donald Trump is behaving much more erratically than his predecessor (at least on issues like North Korea or Iran) - and even though nothing too horrible has been done yet, he’s making everyone uneasy. Is this how it’s going to be from now on, the U.S. being at odds with the international community, pursuing provocative diplomacy, or do you think that once Trump’s term is over, it will just go back to how things were before? JD: Well, I hope so. But we don’t know when his term is going to be over because he was elected for four years and he will probably run again for the elections and it depends on whether he will win. Already his popularity rating is quite low in the United States and yes, there are some indications that the midterm elections may not go in his favour. But we can’t depend on these wageries of the electoral system or the electoral mood in the United States. We have to have diplomatic solutions, political solutions. And I think, it’s the responsibility of other nuclear weapon states to propose these solutions and challenge Mr. Trump to come to the negotiating table. SS: Ambassador, you’ve mentioned earlier the ban that the General Assembly put on nuclear weapons last year. What’s the point of this non-binding ban, voted for largely by countries without nukes? Is it going to stop anything? JD: You know, we have several nuclear weapon free zones in the world. And those zones were created by non-nuclear weapon states. The nuclear weapon free zones are working well because they are also signed by nuclear weapon states in terms of protocol. It’s the Central Asia nuclear weapon free zone, the African nuclear weapon free zone, the Latin American and so on. Those are working very well. So, what I say, the fact that the nuclear states haven’t agreed to the ban, which was agreed on last year, doesn’t mean that the ban is totally useless because we are getting a large number of non-nuclear states who are demonstrating that they do not want to have nuclear weapons. So that’s a positive step. SS: So is the whole disarmament movement basically aimed at preventing uncontrolled non-proliferation, rather than getting rid of weapons of mass destruction in today’s world? JD: It’s doing both. It wants to prevent proliferation of nuclear weapons but it also wants the nuclear weapons already in the hands of some countries to be reduced - and that’s nuclear disarmament. Both courses of action have to be taken. SS: Which one is the most realistic cause and the more realistic scenario? Which of them is working better? JD: Well, there was a time when nuclear disarmament was also working very well because there were agreements between the two major nuclear states - the old Soviet Union and the United States - to get rid of their weapons. They had START I and START II and these were working well. Unfortunately, there has been a halt in these negotiations for some years now. I think, we need to re-jumpstart bilateral talks between the Russian Federation and the United States. But it takes two to tango and therefore the leadership of both sides must be willing to do this. SS: Tell me something honestly, can the UN really do something about weapons of mass destruction, beyond talking and accepting resolutions? North Korea’s example clearly shows the UN resolutions don’t work. Is the UN relevant in the effort to control nuclear weapons or maybe some other organisations have to step in or be formed to deal with that? JD: Well, I think, the United States and other countries with nuclear weapons are ready to accept the leadership of the United Nations if it makes a positive offer. I think it’s time now for the new Secretary General to come up with a solution that will help with regard to North Korea, for example, or some other countries. We need to see, because I think, we haven’t explored the full extent of the willingness of DPRK to talk on this issue. SS: So you don’t feel we need to form a separate body that would actually take care of that issue in particular? JD: There’s no need to reinvent the wheel because we have a sufficient number of organisations devoted to disarmament negotiations. There’s a Conference on Disarmament in Geneva which is the sole multilateral negotiating body and there are many special envoys for the task. I think, we just have to get on with the agenda and make sure that the climate is set right for the DPRK to come to the negotiating table. SS: The UN Secretary General Antonio Guterres has just recently said that confidence-building measures are needed to help in non-proliferation and disarmament. What’s “confidence-building measures”? It sounds like bureaucrat-speak to me, what does it mean? JD: It means setting the stage and making the negotiating partners feel that there is an impetus in negotiations, that there are some rewards for them to come to the negotiating table. And I think, if that was done Kim Jong Un would come. Already on his own account he’s talking about marching under the same flag of the two Koreas at the Winter Olympics which will be held very soon in the Republic of Korea. I think, that’s a step forward and we must work on that offer that has come from Kim Jong Un despite all the negative publicity that he has got. There is this gesture that he has offered which could be built upon. SS: Ambassador Dhanapala, thank you for this interview. 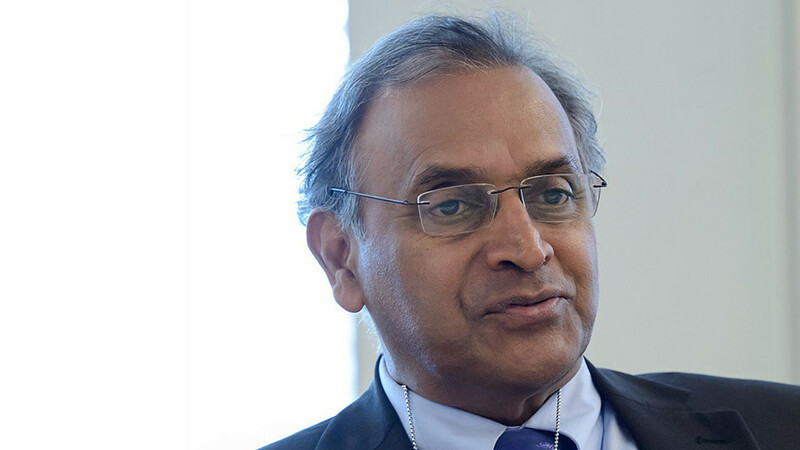 We were talking to Jayantha Dhanapala, the former United Nations Under-Secretary for Disarmament Affairs discussing the real risk of an accidental nuclear catastrophe that is threatening our world and the need for nuclear disarmament. That’s it for this edition of SophieCo. I will see you next time.